So what went wrong? After researching some recipes on the YouTubes, I stood in my kitchen trying to cook pork sisig for 3.5 HOURS. If that doesn't scream 'trouble' I don't know what does. My lesson? Beware of the tenga (ear)! Using all tenga ruined me. After boiling the tenga for an hour, the cartilage still made for a very tough moutfeel. Also, I don't think the meat itself did so great of a job soaking up flavor. My family's feedback (which I am very thankful for) was to mix in other meats or choose another cut altogether. The recipe I followed is in the video below but I also added soy sauce to taste! Boil the meats a whole lot longer! I could make my sisig dish a bit greasier (a.k.a. yummier). I think this could be done by adding butter, more liver paste or actual livers, and using a variety of cuts. I'll be experimenting with this and will document my best findings on the blog. My first attempt at pork sisig. You can see the toughness just by looking at it. Eep! 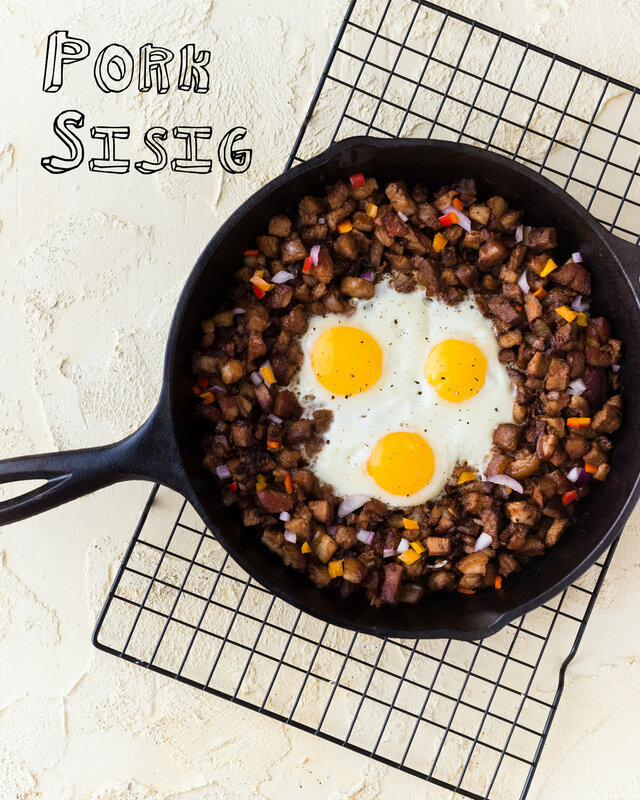 Sisig literally means "to make it sour"
The dish's sourness was said to help fight back dizziness and nausea, which could be the reason why pregnant women would eat sisig a lot in their first trimester. Sisig is known as a pulutan. 'Pulot' literally translates to 'to pick up with the fingers' and pulutan refers to small bites and finger foods that are best served alongside an alcoholic drink. If we were to tie in this fact + the one prior, sisig is the perfect hangover food. The reinvention of sisig was known to be done by Aling Lucing of Angeles City in 1974 (video below). ← You Didn't Have Me at "Adobo"